At the height of the Marawi City crisis, GMA News Online reported that the Maute Group members "torched Cathedral of Our Lady Help of Christians and abducted several people, including Father Teresito 'Chito' Suganob." It was later revealed that a total of 15 people had been abducted from the church. Apparently, one of the people abducted was the wife of retired policeman Jaime Mayormita. His statement is important as it confirms that the Maute Group took captives. ABS-CBN News reports, "In a phone interview with radio DZMM on Wednesday, May 24, Mayormita said that he was at the police headquarters when suspected Maute Group members torched several buildings and battled government forces." 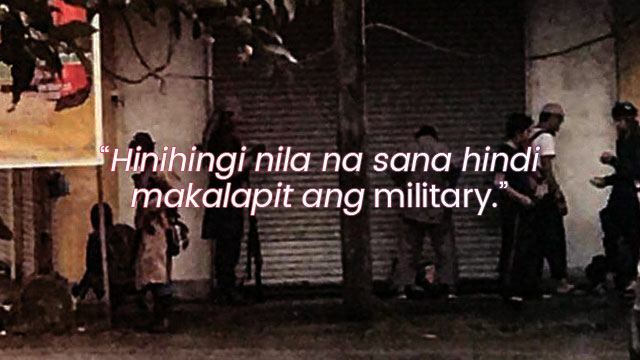 The report noted: "Mayormita said he exchanged calls and text messages with his 45-year-old wife Wendelyn—until a different person answered his call with demands for state troops to halt offensives against terrorists." Mayormita related, "Hinihingi nila na sana hindi makalapit ang military (They don't want the military to come close)." After speaking to his wife's captor, Mayormita was not able to call the number anymore. All he can do for now is hope that the Maute Group members set her and her companions free. He said, "Sana pakawalan na nila, makalaya ang mga inosenteng tao kagaya na lang ni Fr. Chito at iyung asawa ko saka mga kasamahan nila—mga inosente kasi ito (I hope they just set them free because these people are innocent—Fr. Chito, my wife, and their companions. They are all innocent)." Mayormita also expressed concern because his wife has a heart ailment and doesn't have her medication with her.